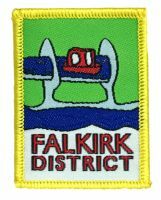 Falkirk District Scouting offers challenges and adventure to over 1000 young people and adults across the District and is part of a Scouting UK organisation with half a million members. Our members grow in confidence by trying out new skills and stretching themselves. A Beaver having their first sleepover, a Cub completing a caving complex course, a Scout leading his or her patrol or an Explorer completing an international trip - each time it is a new challenge and an adventure. Scouting is open to all young people (boys and girls) of every faith and background. There are also plenty of opportunities for adults to become involved as leaders or administrators. We hope that you will find this website a useful source of information to visitors and a valuable resource for all leaders, supporters and members in the district. Mark World Earth Day by building a little hotel for our smaller legged friends. With street art possibly at its most popular in history, introduce young people to a different culture of art from the usual paint on canvas. You don’t need to have a permit to have an adventure on (or in) the water. We’ve made an list of adventurous activities you can do without a permit, so there’s nothing stopping you giving it a go and dipping your toes in. Have a look at the pictures from the Blair Athol selection camp. They are in the District News section.